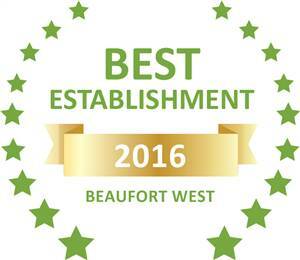 Beaufort West Self-catering accommodation at its best. 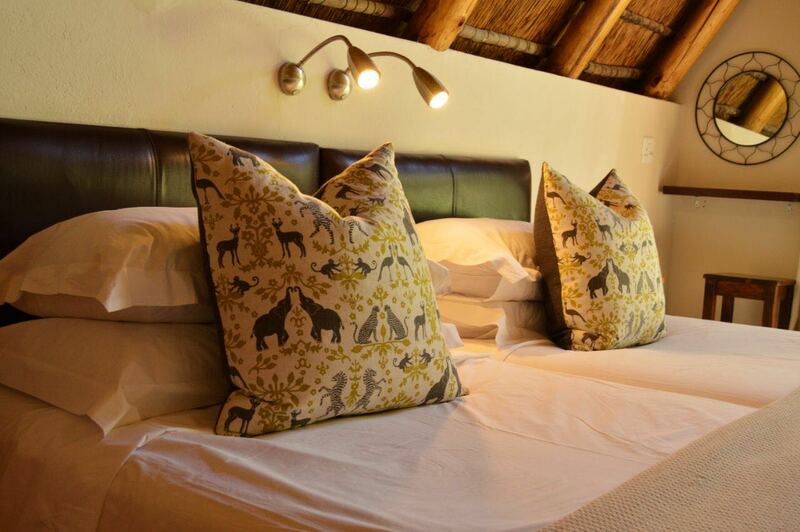 The night sounds of jackal calling create the ambiance of Africa and make this a nature lover’s paradise. 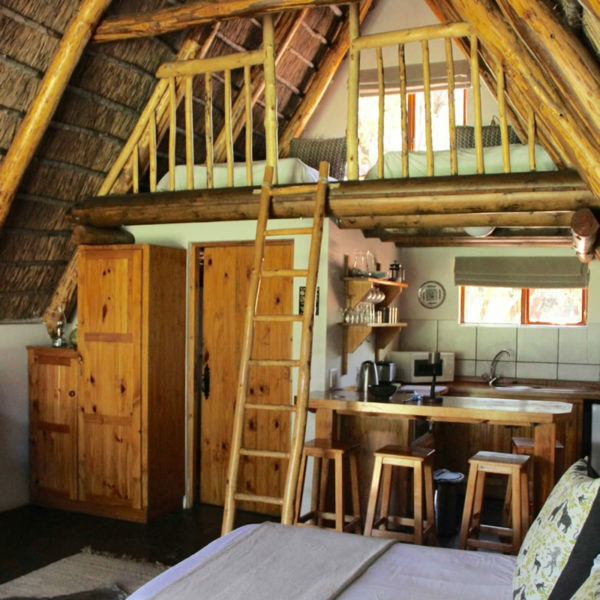 The seven A-Frame chalets, built from stone, timber and thatch offer the ideal family accommodation for this perfect hideaway. 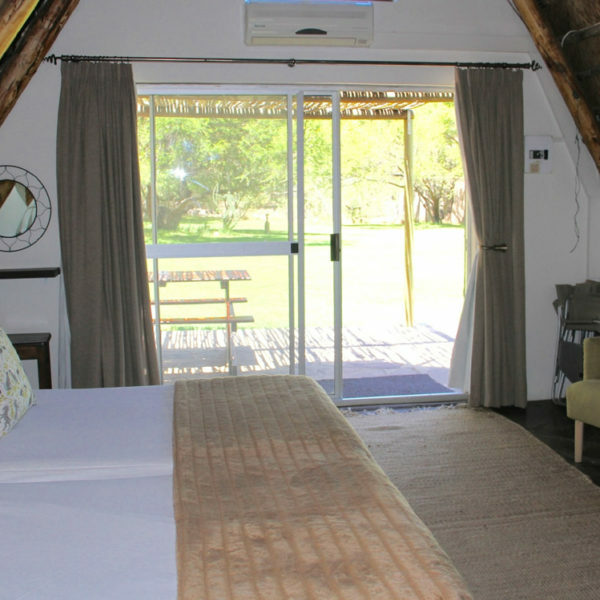 Beaufort West Self-catering Accommodation. 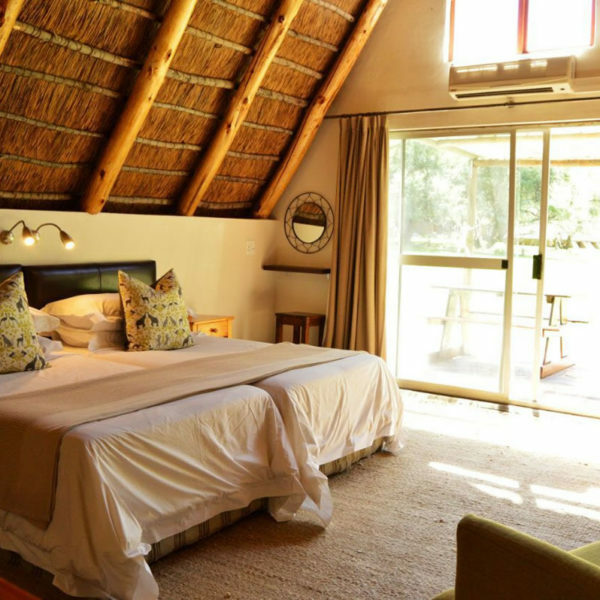 This secluded bush camp consists of 7 chalets, a Lounge/Conference Centre, Bar and Boma. 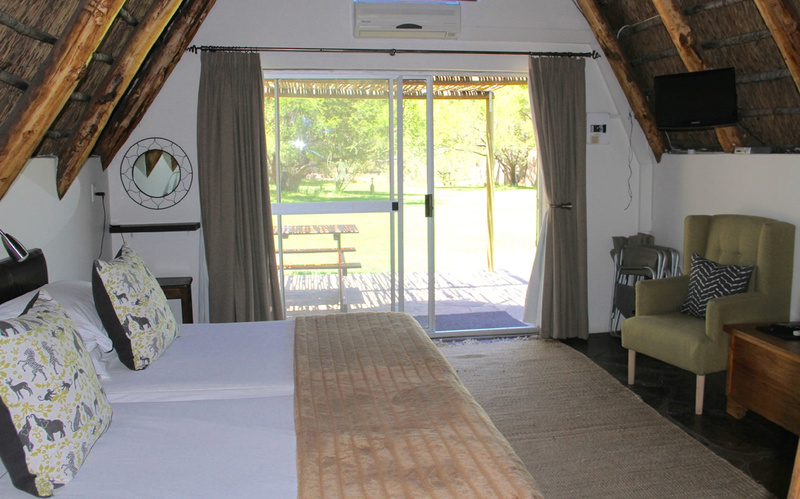 Surrounded by rocky craggs and the Nuweveld Mountains, Ko-Ka Tsara is the ideal destination for your Karoo stay. 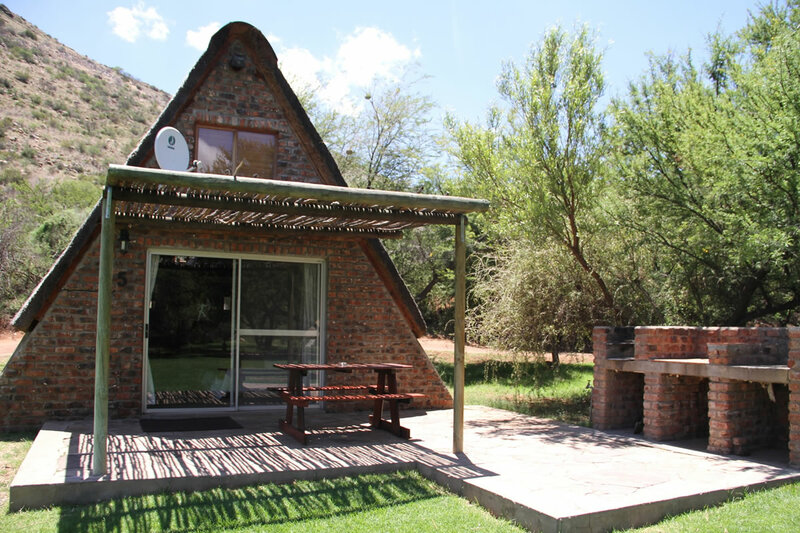 The chalets were designed and built by the game farm owner, Werner Koster, who exclusively used local poplars and stone for their construction. 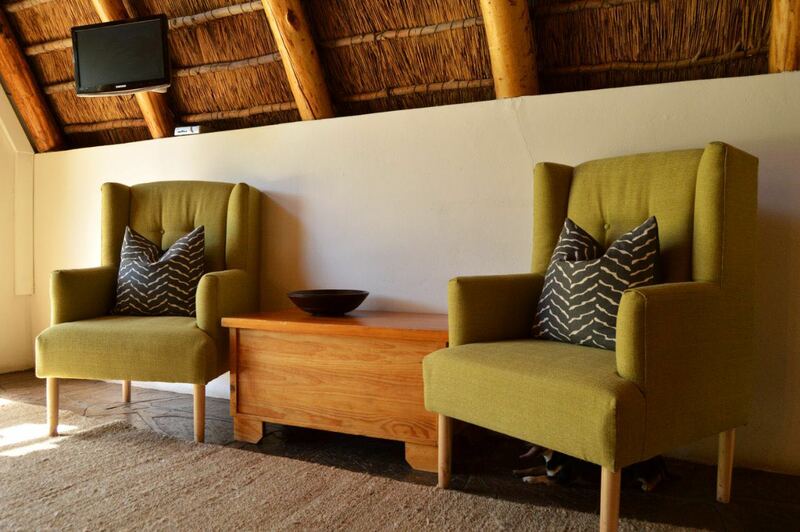 The Rustic décor is completed by slate floors, hand made furniture and wood finishes. 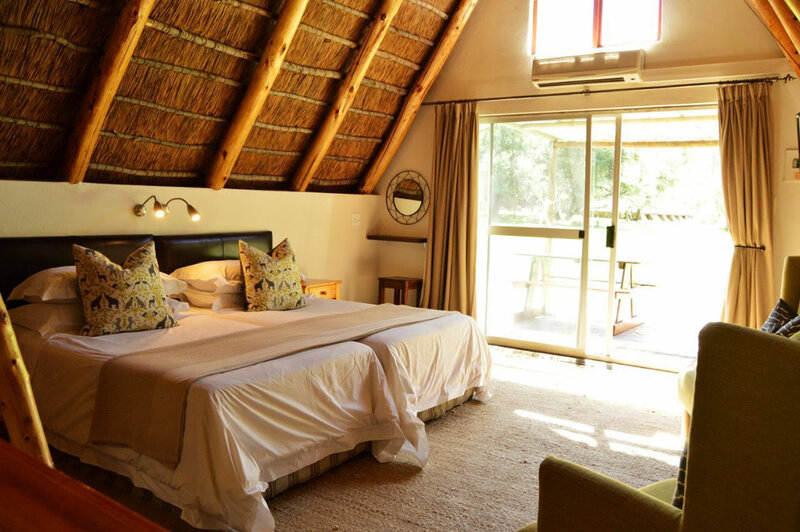 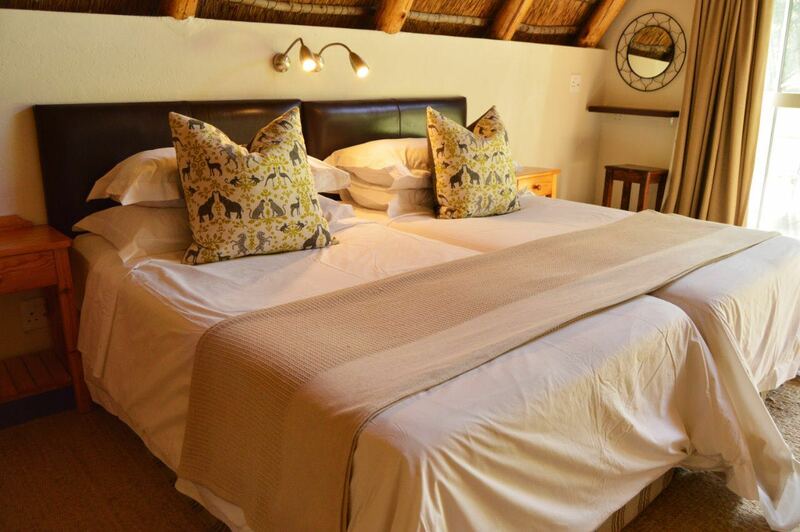 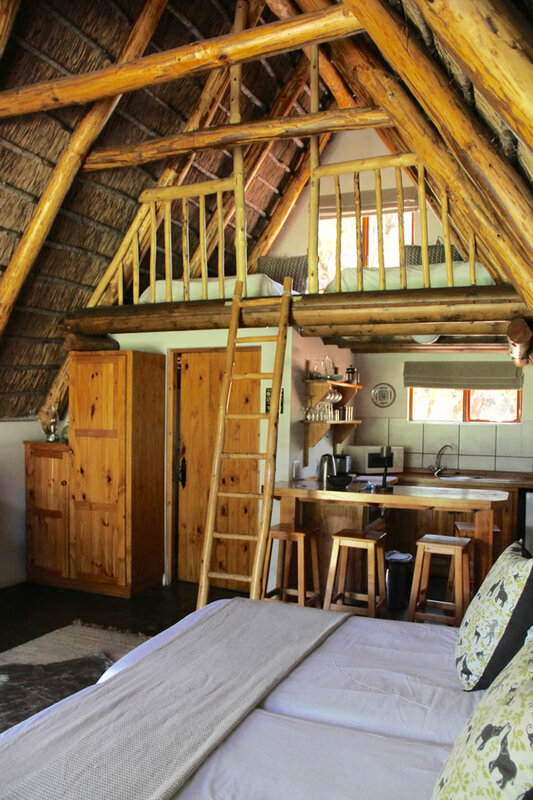 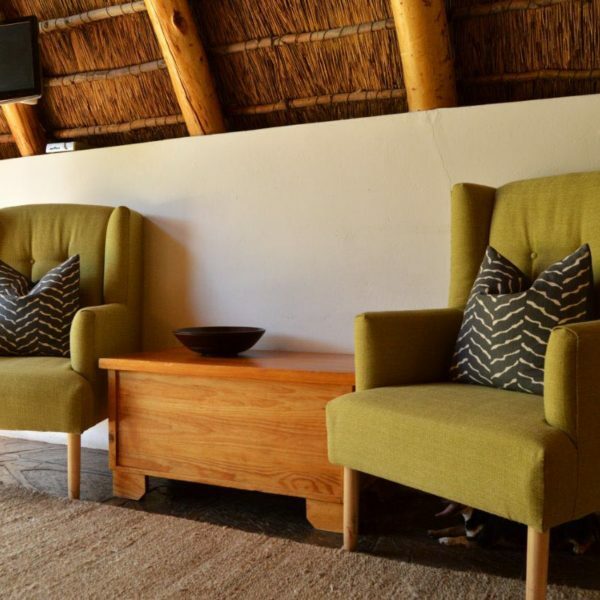 The thatched A-frame chalets are stylishly decorated and sleep a family of four. 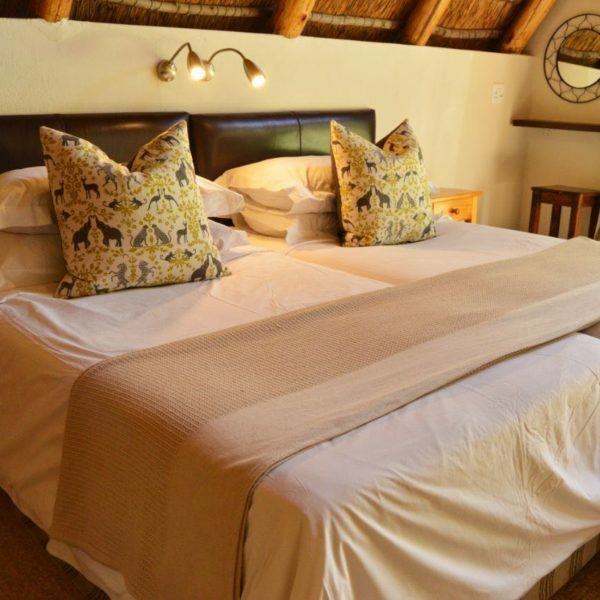 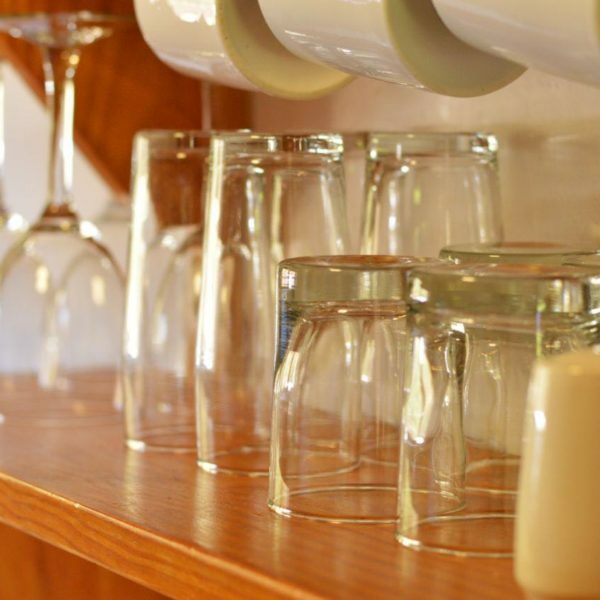 Each has an en-suite bathroom, fully equipped kitchen and own private braai (barbeque) facility. 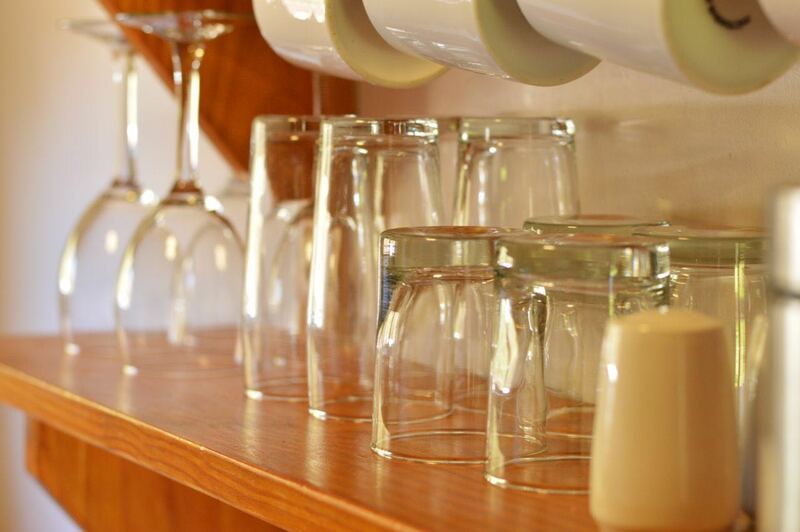 The units offer 2 x ¾ beds downstairs and 2 x single beds on a mezzanine floor. 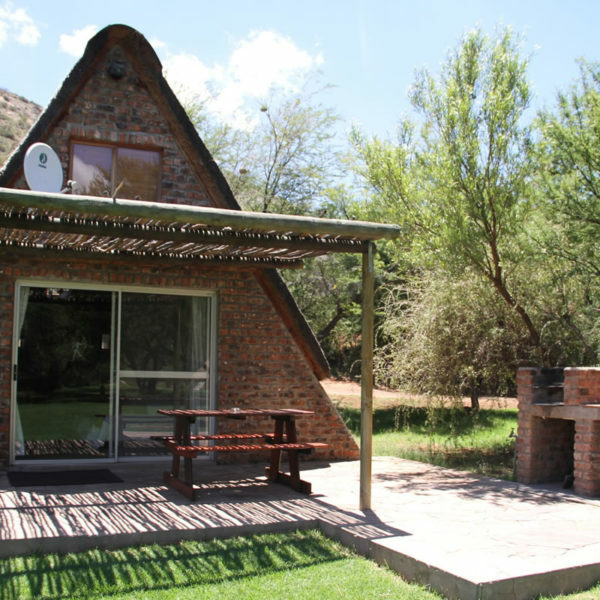 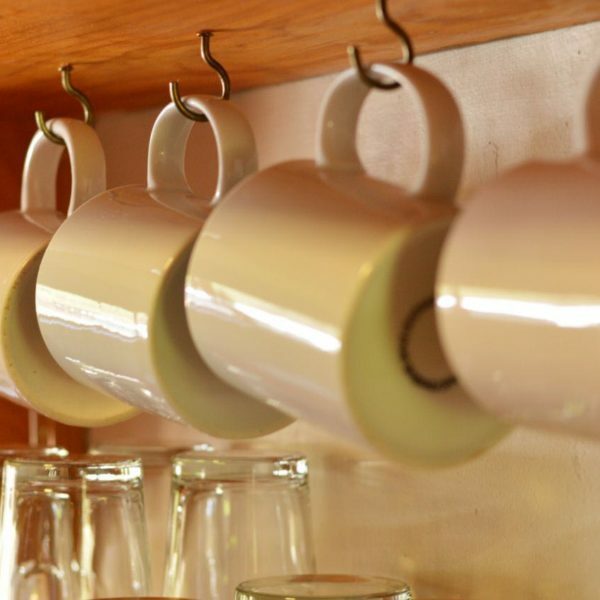 Each chalet has its own private parking area and is comprehensively furnished including air conditioners for summer and heaters for winter. 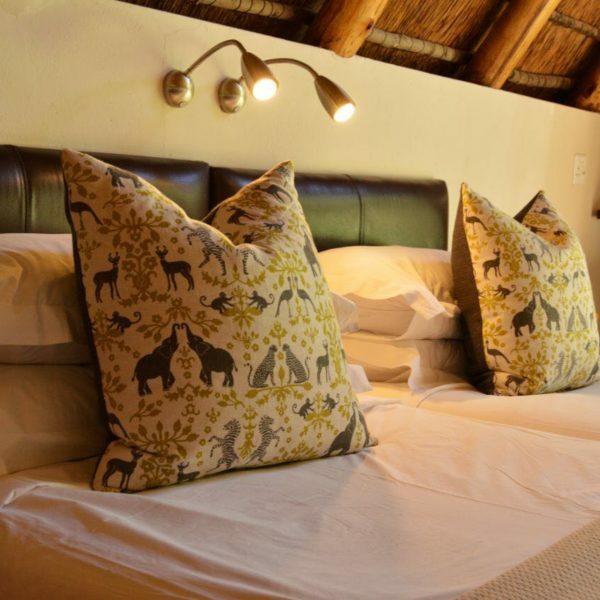 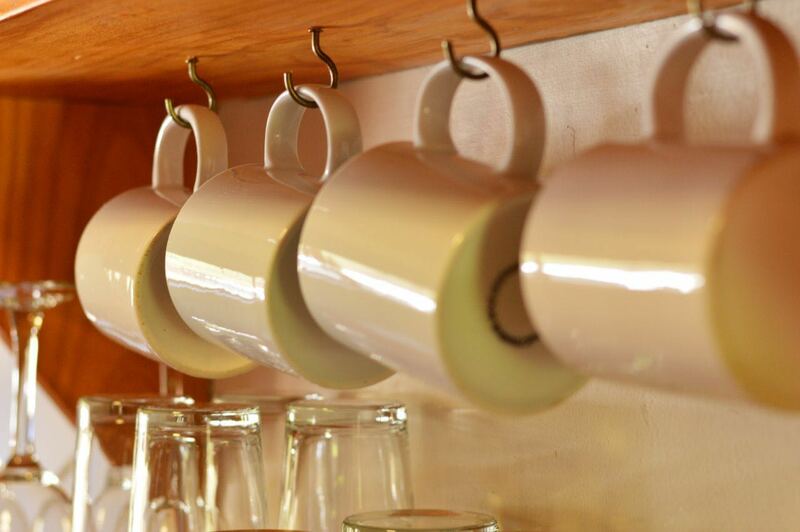 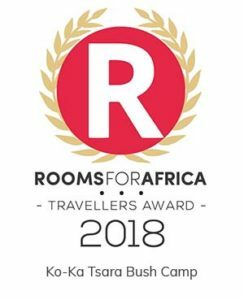 Ko-Ka Tsara Bush Camp is child and pet friendly.